A recent Heritage Management graduate, Angharad Bullward, can often be found getting overexcited in a variety of heritage sites and museums throughout the United Kingdom. On her blog, she documents her recent trips and musings, attempting to engage people with heritage regardless of whether they regularly go to museums or not. Although there is no intended bias, Angharad is never shy in promoting her home city of Birmingham, UK and the surrounding areas. I don’t currently work in a museum, although I have spent 3 summers in various customer facing positions in the heritage sector when I was a student. I graduated last year and have ever since been job hunting for that all important first full time museum position! I have an undergraduate degree in Literature History from the University of East Anglia. Then in 2012 I graduated from the Ironbridge Institute (University of Birmingham) with a Masters Degree in Heritage Management. It had to be studying for my Masters Degree, it was an amazing experience. The more I learnt about the sector, the more it made me want to work in it more. It ignited my passion for heritage and everything I know about museums in based on what I learnt in Ironbridge. My fellow students were also inspiring as it was fantastic meeting people with the same love as mine. My blog’s name is young, free and museum minded. I started the blog in August 2012 after finishing writing my Master’s Dissertation. I had become accustomed to writing and studying about museums, and the blog filled the void my degree had left. I blog about anything had catches my eye or had made me think. After I have visited a heritage site or museum, I will always write up a review but there are more random entries too. One that stands out in my mind is one where I argued that costume dramas are important ways to get people to engage with history and then listed a small selection of what I had learnt from my extensive box set collection. I don’t write for a particular audience, I want to dispel that stuffy image that history can be labeled, so I aim to be as accessible as possible. You don’t need to study history or regularly visit museum to enjoy it. What has surprised me the feedback I have had from my friends and family. It is one thing writing on the blog, but hearing that others like reading it without me forcing them too is really reassuring. So I don’t have any single comment that stands out as everyone makes me smile. My most read blog post was when I published the results of my Career Survey that focused on heritage and museum graduates. I conducted a survey online which an amazing 146 people had filled out. My headline results included; the average time taken to secure employment in the sector after graduation was 13 months, 87% of graduates volunteered to gain experience and the ‘worst thing’ working in heritage was the low pay. The last exhibit I visited was the newly opened Mary Rose Museum at Portsmouth Historic Dockyard. I had never visited a museum on its opening weekend before and I extensively read all the reviews in the national news beforehand. It did not fail to live up to expectations and it was exciting to see a museum using the latest technology as well as traditional interpretation techniques. I loved how the museum was built around the remains of ship which was currently undergoing restoration with even the floors of the corridors dipping in the middle mirroring the curvature of the decks. I usually restrict myself to a postcard or a magnet when I go to a museum. My collection is steadily growing and covering a number of fridges, freezers and notice boards. I like to keep leaflets, floor plans and I tend to buy a guide book too, so as you can imagine my room is overflowing with museum memorabilia. I think it is hard to predict where museums are going to be in 10 years time as there are so many threats to them. In the UK the current policy of government funded museums offering free entry routinely comes under public scrutiny. Museums are also facing decreasing government grants as seen by pressures faced by the Science Museum Group who is threatening closure of some of their regional museums. There is also, I fear, going to be a knowledge gap missing as through my own and my friends experience, the barriers to getting employment in the sector are getting higher with volunteering becoming more and more important. I worry that is not sustainable for the sector or people seeking employment. That said, I don’t think is all gloom and doom, but the sector, like the rest of the UK economy, is being affected by the recession. Thanks for participating in Meet a Museum Blogger, Angharad! 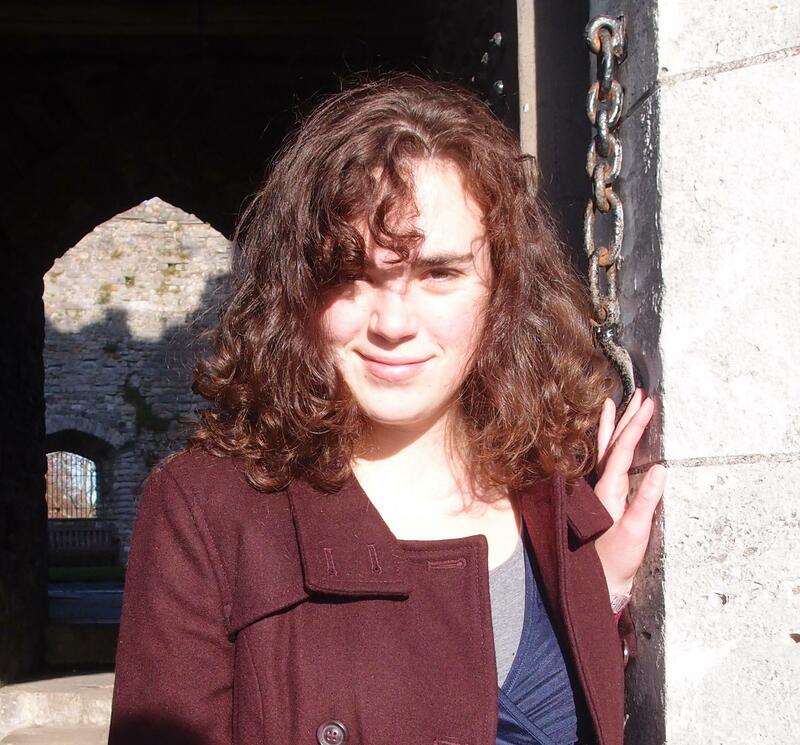 In case you missed it, Angharad blogs at young, free and museum minded. What interesting thoughts about the a possible growth of a knowledge gap in the British museum field, as a result of institutions relying more and more heavily on volunteers, while paid jobs seemingly become increasingly scarce. Do you share Angharad’s experiences and/or concerns surrounding museum jobs, hiring patterns, and their impact on the profession at large? Are things the same across the pond in the United States or in other places around the world? What do you see as the biggest threat to museums moving forward? What about the biggest opportunities? Do you have any additional questions for Angharad regarding her profile above? Feel free to start a conversation in the comments below or reach out to her directly on young, free and museum minded. Tags: Angharad Bullward, Heritage Management, Ironbridge Institute, Mary Rose Museum, Portsmouth Historic Dockyard, Science Museum Group, University of Birmingham, University of East Anglia. Bookmark the permalink. Reblogged this on young free and museum minded. Thank you for sharing! I love living vicariously through people doing fun things that they love to do (and that I’d love to do too!! ).